I have a fun Easter project over at the SRM Stickers blog today, an Easter card with a matching Easter basket laden with chocolate filled mini tubes! 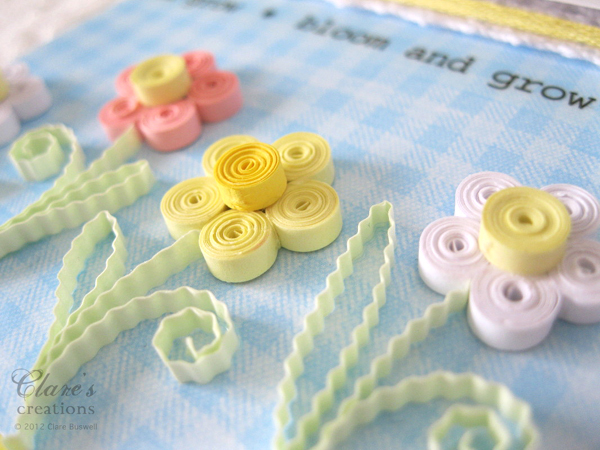 I've used some quilling on this project, I made some sweet little spring flowers. 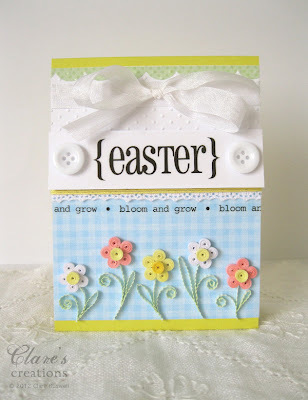 I used the large sentiment sticker from Quick Cards - Easter from SRM Stickers and the 'bloom and grow' text is from Sticker Sentiments - Spring. The cute green scalloped border at the top of the card is from We've Got Your Border - Baby Girl, I really love the border stickers, they're so handy! To get the crimped effect on the quilled foliage I used a quilling crimping tool, it crimps the whole quilling strip for you, very quick. 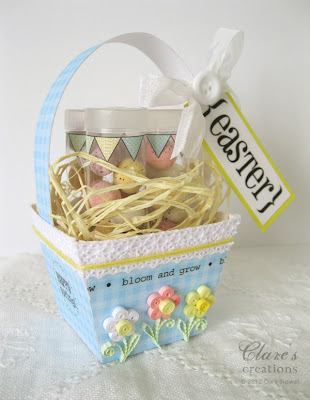 I made the basket using this free template - Mini Square Basket from Waltzingmouse Stamps but I did modify it slightly to make it deeper. 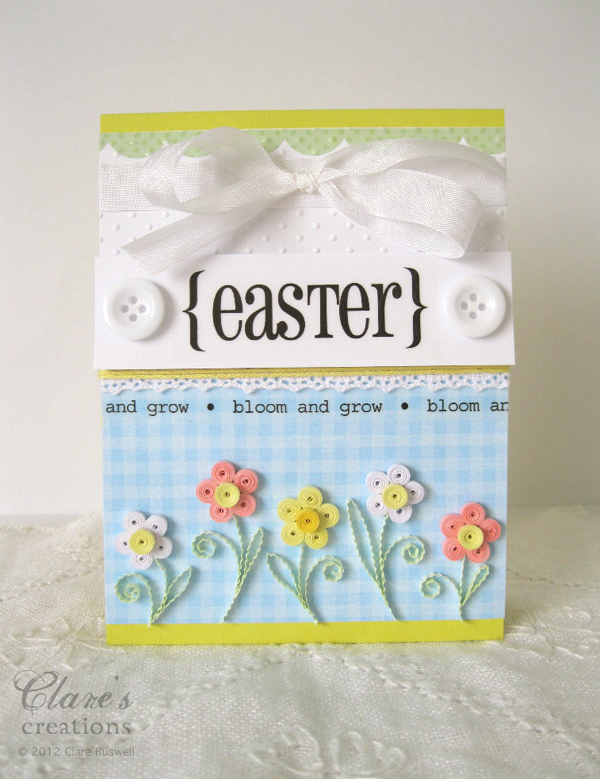 The cute blue gingham patterned paper is from Sweet Nectar by K&Co. 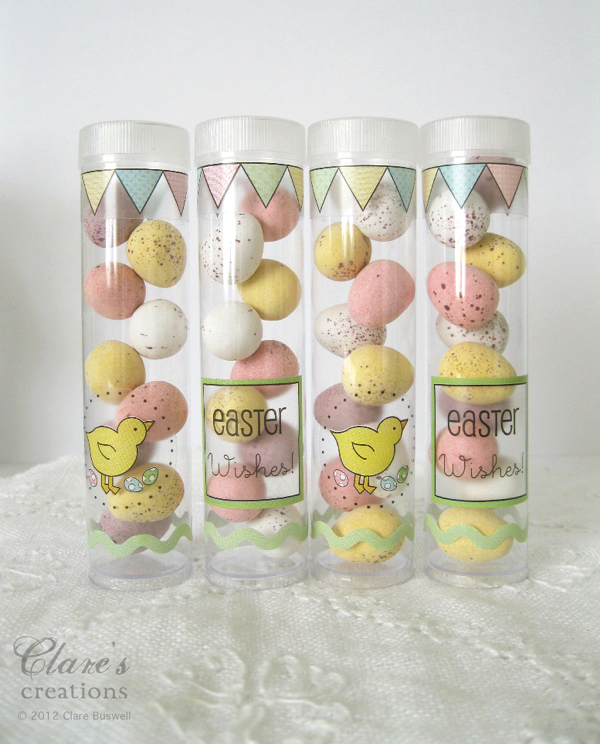 I decorated the mini tubes using the pretty banner and ric-rac stickers from We've Got Your Border - Baby Girl and I added the chick sticker and easter wishes stickers from Quick Cards - Easter. Isabelle loved these little mini tubes just the right size for her hands! 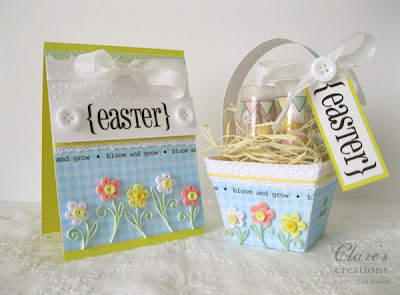 On the sides of the basket I added these cute 'Happy Spring' stickers from Sticker Sentiments - Spring from SRM Stickers. Thanks for dropping by and don't forget to visit the SRM Stickers blog. Other: White buttons, Quilling tool, Quilling crimping tool, yellow, white, pink, light green, lemon quilling strips. This basket is adorable. The colors are gorgeous and I love how you add your quilling!!! Thanks for sharing the template. 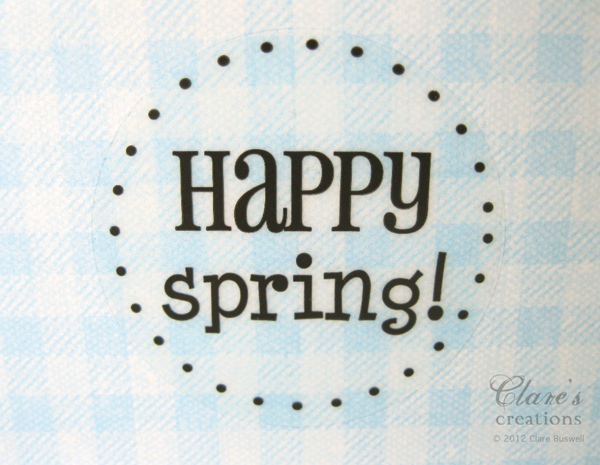 Waltzingmouse Stamps March Blog Party!! 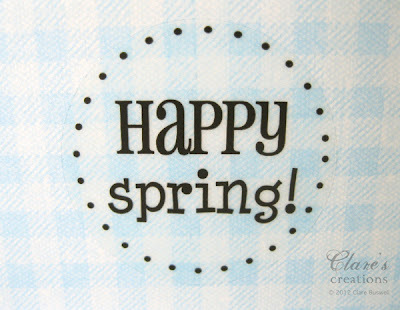 Nina B Designs - First Blog Hop! Nina B Designs - Dream Team! !